BMW announced the premiere of a completely new car, which will debut in August. The event will take place on August 23 at the elegance contest at American Pebble Beach. The name of the car remains unknown, but the company promises to tell the information about it later, emphasizing that the car is "definitely an emotional addition to the BMW range." Many assume that this will be a serial roadster Z4 of the new generation (from the G29 series). We add that the harbinger of the 2-door is a prototype of the same name, shown just a year ago in Pebble Beach. 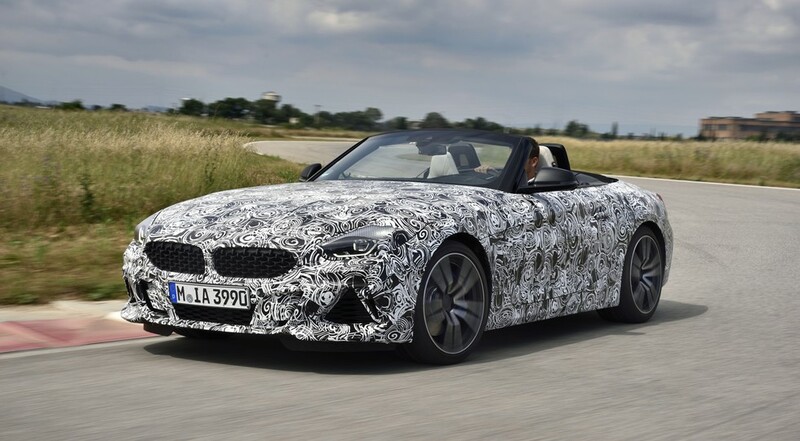 Most likely, the body structure of the BMW Z4 will receive carbon-fiber elements, which will reduce the weight of the car by 150 kg, when compared with the current performance of the car. The top-of-the-line BMW Z4 M40i can be fitted with a straight-line 3.0-liter V6 with 360 "horses". The maximum car can be accelerated to 250 km / h. Z4 M40i will be pleased with the lowered suspension, adaptive shock absorbers, electrically controlled differential lock, plus reinforced brakes. In more accessible versions, there will be 4-cylinder engines.